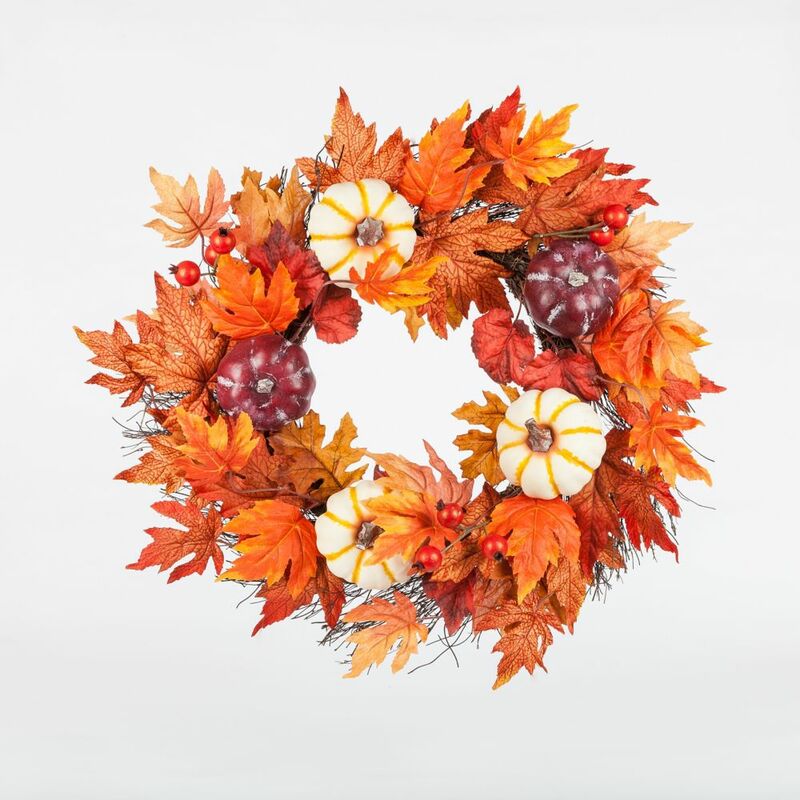 22-inch Maple Leaf and Pumpkin Harvest or Halloween Wreath is rated 3.0 out of 5 by 1. Rated 3 out of 5 by Aehna from Nice wreath for the price It’s a nice wreath for the price but looks a bit cheap. I added some decor myself to spruce it up a bit. Overall satisfied with the purchase.